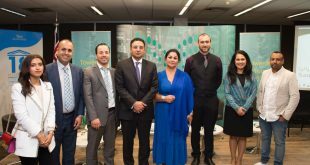 A group of Arab ambassadors and cultural attachés to Australia gathered, on Monday 29th August 2016, in the premises of the Saudi Arabian Cultural Mission (SACM) in Canberra, at an invitation from the Royal Embassy of Saudi Arabia in Australia, to attend SACM’s “Translation Initiative Launching Ceremony”. 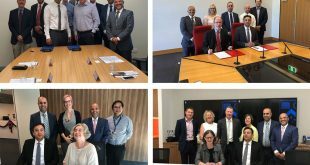 Through the translation initiative, SACM seeks to achieve a number of goals as part of its cultural work, including openness toward the scientific, cultural and creative society in Australia through Arabic translation of a variety of books written by Australian authors in various fields. SACM is also keen to open the door for the Australian society to Saudi and Arab cultures through translation of Arabic books into English. The initiative will include ongoing translations of diverse English and Arabic books. SACM organized this launching ceremony after translating the book entitled “HOOSH! Camels in Australia” written by the Australian writer Janeen Brian. The book tracks the presence of camels in Australia, from the vital role they played, along with Afghan cameleers, in the early exploration and development of Central Australia, through to their continued use today in the tourism and export industries. It also provides fascinating facts about the extraordinary workings of a camel’s body and its survival techniques. The ceremony program was inaugurated by H. E. Ambassador of Saudi Arabia to Australia Mr. Nabil Bin Mohammed Al Saleh. 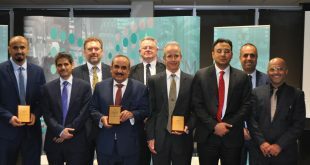 He first welcomed their Excellencies the Arab ambassadors and cultural attachés, the author of the book and the representatives of interested Australian institutions and organizations. Mr. Al Saleh praised SACM’s efforts in strengthening the Saudi-Australian relations and cultural and scientific exchange. 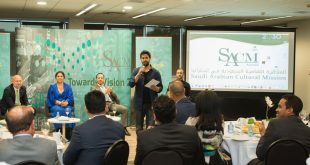 Dr. Abdulaziz Bin Taleb, the Saudi Cultural Attaché to Australia also welcomed the participants and thanked them for accepting the invitation and attending the launching ceremony of SACM’s first production of translation. Dr. Abdulaziz delivered a presentation explaining the translation project process. He stated that “HOOSH! Camels in Australia” was a suitable choice as it talks about camels which have had cultural and social values to Saudi people and Arabs since ancient times until today. The book also provides valuable and important information; especially camels in Australia have received media attention in Saudi Arabia when Australia began to end life of large numbers of camels. The author of the book Janeen Brian expressed her deep thanks and appreciation to SACM for the translation initiative and for choosing her book to be the first production of the initiative. She also pointed to the great effort she had put and the long time she had spent to collect the book material and keep track of the presence of camels in Australia since their first arrival, in addition to the effort of verifying the scientific information about camels included in the book. The author also expressed her pride that her book has been of interest to SACM which translated and published the Arabic version of the book in such a wonderful appearance. Following the speeches, H. E. Ambassador Mr. Nabil Al Saleh, and the Cultural Attaché honored Janeen Brian and presented a commemorative gift to her. The ceremony was concluded with book signing by the Cultural Attaché and Janeen Brian. Copies of the Arabic translation of the book were distributed to attendees.